This past Sunday there was a ‘gathering’ of the churches in the Top o’ Texas Association of Southern Baptist Churches. It was held at Central Baptist Church here in Pampa. I must say that it was a truly great time. I knew we had a bunch of talented singers but I just didn’t realize how talented they were. As Bro. James Greer was putting this together, he must have had a momentary lapse in sanity. Don’t get me wrong I love this guy, but he must have slipped out of touch with reality. Let me fill you in. I don’t remember the day he called but I know after he called I went to his office. I just wanted to see if he was okay and if he was serious. You see, he called and asked if I would sing! This is what truly concerned me. My ministry started out in music, but God called me to preach after one year in the school of music at Oklahoma Baptist. I still love to sing, and know that singing is another way for me to share God’s Word. Vicki and the girls can sing well, truly blessing people when they do. Singing for many of us is better done when we are mowing the lawn or while we are in the shower. I just know that what Bro. James asked of me was almost more than I could give. I told him I would pray about it and get back to him. I finally told him that I would if he would take the blame for how it went! It was as I looked within Scripture for the commands for us to sing. It was then that it hit me. God didn’t say that only the ‘good ones’ were to sing. Each of us are to sing praises to Him. Ps. 30:4 says – “Sing praise to the Lord, you His godly ones, And give thanks to His holy name.” Ps. 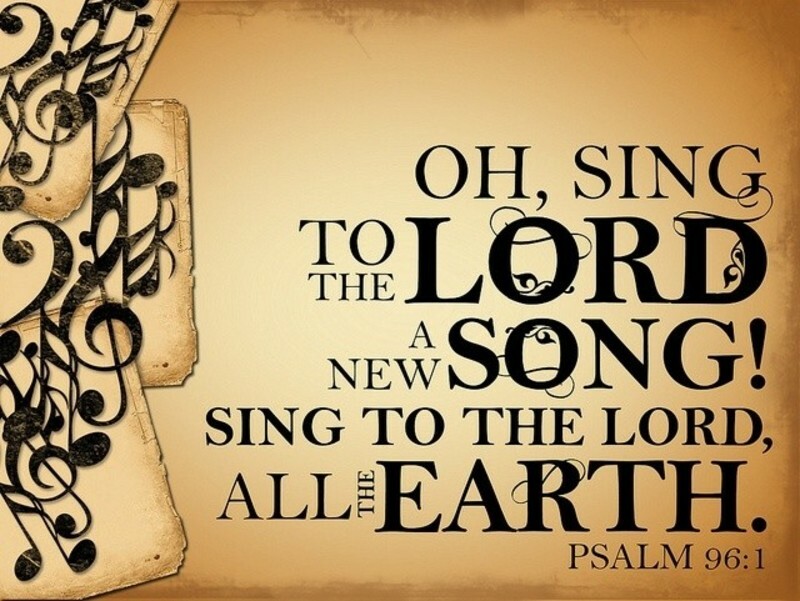 33:1 says – “Sing for joy in the Lord, O you righteous ones; Praise is becoming to the upright.” So you see it was important for the Psalmist to sing praises to the Lord. 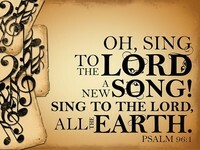 You need to just read the Psalms and sing praises to the Lord. It is important that we sing praises to the Lord. The only imperative that Paul puts on it here is that we do it with ‘thankfulness in our hearts to God.’ I can tell you that on Sunday evening there were many thankful hearts at Central Baptist Church.